It's the perfect time to pamper yourself. If you're one of the lucky ones whose office is closing for the holidays, you know what that means: More time to treat yo' self, aka pamper your skin! Below, we have a list of facials and treatments you can do to end the year on a ~*relaxing*~ note. This classic skincare hack is always raved about by celebrities for its de-puffing and revitalizing effects. The cool temps of the ice cube can ~wake up the skin~ and leave a healthy glow. 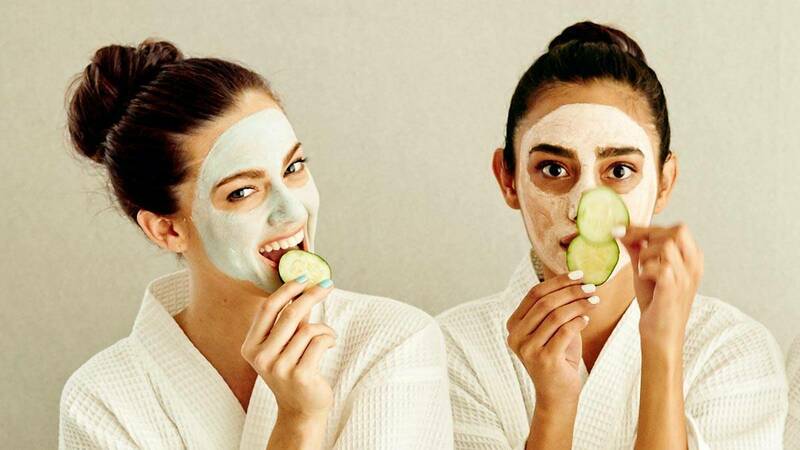 There a ton of DIY face mask recipes that can cater to your complexion's needs. For a really yummy treat, mix ingredients you luuuv to eat: Bananas and oatmeal make a soothing and nourishing face pack, while combining yogurt and honey will create an acne-fighting mask. This is one of the best ways to give your complexion a deep clean. It uses, you guessed it, glycolic acid to melt blackheads and whiteheads. Take note, though, this treatment should only be done by a professional.